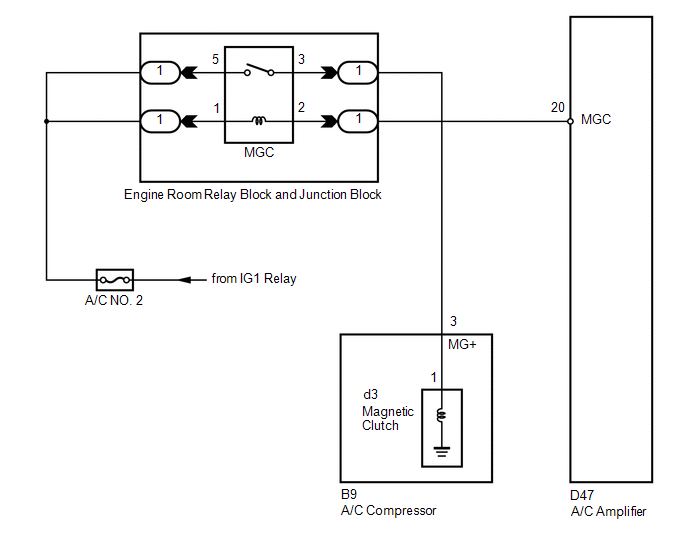 When the A/C amplifier is turned on, a magnetic clutch ON signal is sent from the MGC terminal of the A/C amplifier. 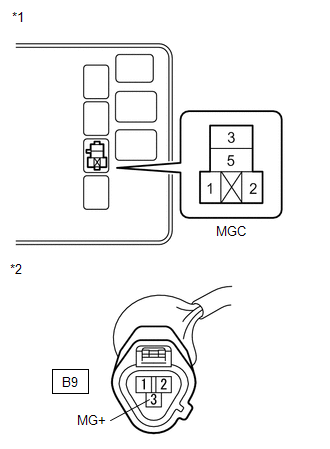 Then, the MGC relay turns on to operate the magnetic clutch. 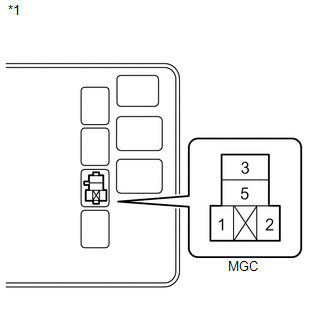 (a) Remove the MGC relay from the engine room relay block and junction block. 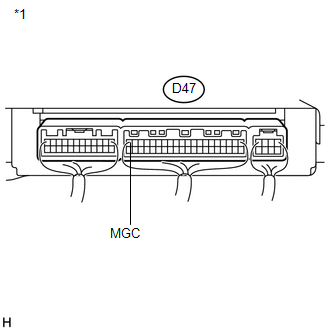 (a) Reconnect the A/C amplifier connector. 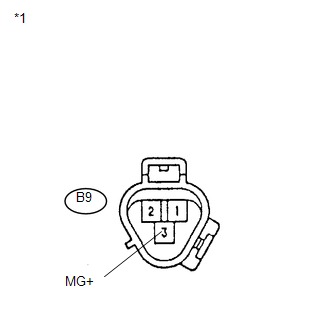 (b) Disconnect the magnetic clutch connector. 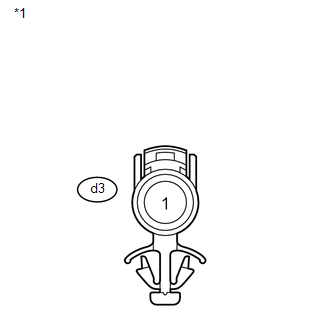 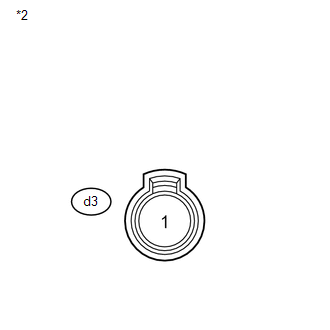 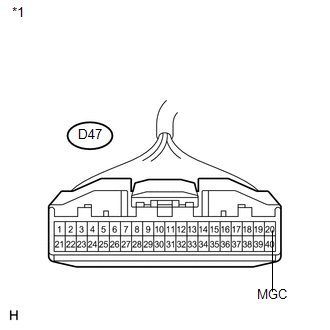 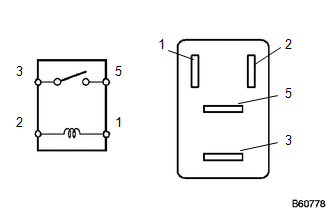 (b) When connector terminal d3-1 is connected to a positive (+) battery terminal, check that the following occurs: 1) the magnetic clutch operating sound can be heard, and 2) the magnetic clutch hub and rotor lock.